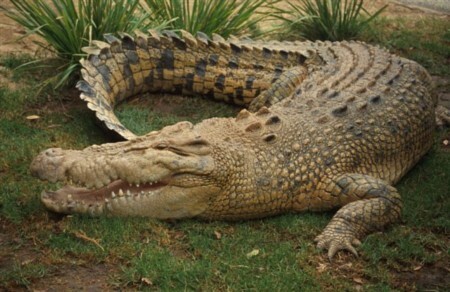 Crocodile is a large aquatic reptile that live throughout the tropics in Africa, Asia, the Americas and Australia. They feed mostly on fish, reptiles, birds and mammals. Crocodiles are farmed commercially for its leather and meat. Crocodile leather can be made into wallets, briefcases, purses, handbags, belts, hats, and shoes.